Aside from the theme parks and tourist attractions, Orlando is home to some beautiful scenery and nature. 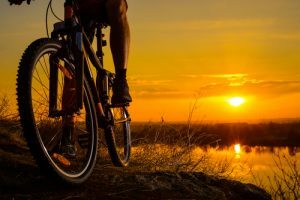 One of the best ways to take in the natural side of Central Florida is by hopping on a bicycle and taking a ride through one of the many bike trails in the area. This trail takes you on a 2.5 mile circuit around the beautiful Lake Baldwin and links to Cady Way Trail, which offers a longer ride with even more scenery. The trail passes by Lake Baldwin Park and Veterans Memorial Park. If you get thirsty or hungry, stop at the Baldwin Park Village Center for refreshments. This trail takes you safely through populated areas of Oviedo and Winter Springs and into natural areas largely untouched by humans for a peaceful, serene experience. For the off-road bicyclist, the Spring Hammock Reserve is accessible via this trail. Right in the heart of downtown, the Orlando Urban Trail takes you by several lakes, and ends at Loch Haven Park. There you will find the Orlando Science Center, The Orlando Museum of Art, and the Orlando Shakespeare Theater. Situated along the southern shoreline of Lake Tohopekaliga in St. Cloud, this park gives runners, walkers, and bicyclists a picturesque, two mile long view of the water. If you’re looking for more to do, try taking a ride through historic St. Cloud on New York Avenue and Pennsylvania Avenue. This 8-mile long trail will eventually link to other trails and locations like the University of Central Florida, Cady Way Trail, and Cross Seminole Trail. Parking can be found at Jay Blanchard Park, Econ Soccer Complex, and on Harrel Road. The Little Econ Greenway takes cyclists on an adventure by beautiful river views, scenic bridges, wildlife viewing areas, and even a butterfly garden. Bicycling in traffic-heavy urban areas is inherently risky, but taking it to dedicated bike trails and paths is a great way to experience a side of Central Florida that few get to see. 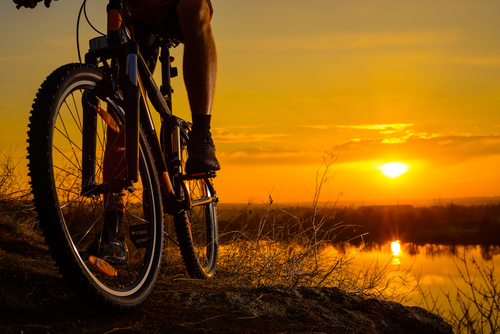 When you book a room with us at the Rosen Inn, you have a perfect place to come back to at the end of a long day of biking to rest and recharge your batteries. Located in the heart of Orlando, we put you the closest to the things you want to see and do on vacation. Call us today at (407) 996-8585 to book your stay.